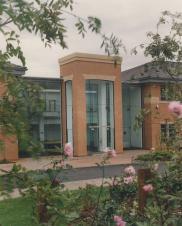 Wilson Bowden Developments is the commercial development division of Barratt Developments PLC. Our expertise and nationwide product portfolio includes a wide range of commercial property comprising retail and leisure, offices, industrial and distribution. As part of one of the largest UK housebuilders, Wilson Bowden Developments is in a unique position, being one of the very few developers with both commercial and residential expertise. Our experienced and dynamic in-house project management team works closely with leading consultants and contractors to deliver innovative and visionary developments to exemplary standards. Our goal is to meet our customers' precise needs, and is why over the past 40 years we have built valuable relationships with local and global names alike.